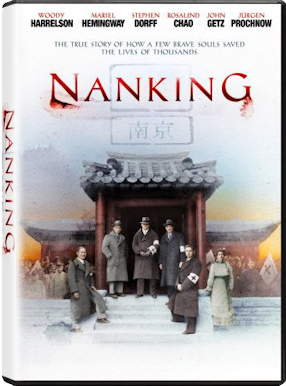 This is a documentary about real people who were present when the Japanese took Nanking in 1937. It uses actors, newsreel footage, home movies and interiews with people who were there, Chinese, Japanese and European. The group tried to slow down the Japanese atrocities by setting up a safe zone, hoping the Japanese would honour it to avoid angering the Americans. The descriptions mixed with images of the atrocities are probably the most horrifying ever put on film. The cruelty of the average soldier is beyond imagining. There is nothing special about the Japanese. This is just how young men behave in war, any war.